This is a recent color palette, inspired by my Spring mood! It was a very easy palette to make & to create. 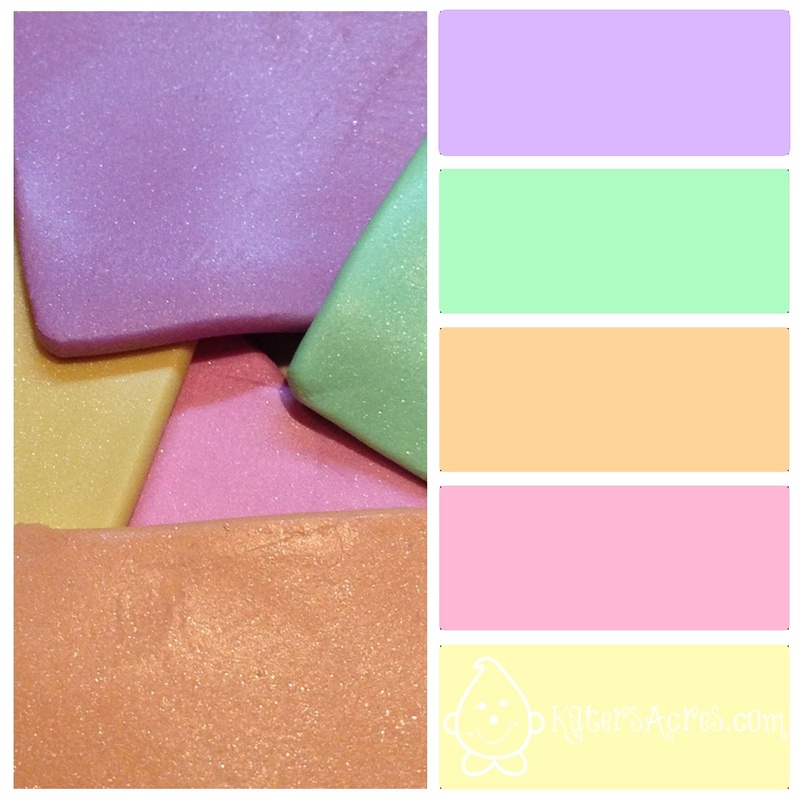 So below, you will find some super simple instructions to create a soft metallic color palette of your own. What kinds of things would you make with today’s color palette? Feel free to post your creations on my Facebook page and show everyone what you have made with the color palette from today’s blog post. Also, feel free to tweet your picture to @katersacres with the #KatersCP to show off your creation! I hope today’s palette & color selections help you get back into your studio this weekend! Thanks for joining me today and don’t forget to sign up for more tutorials, prompts, and projects direct to your email. Sign up now. Just love these colors! Is it the pearl clay that gives it the glitter effect? and if so where can I purchase this type? Yes, it is the pearl clay that gives it the “glitter” effect. Pearl clay has mica powder in it, which gives it that glowing look. You can get pearl clay with all the other polymer clays at your local craft store. I recommend Premo! by Sculpey brand.